Franklin County is located in south central Pennsylvania midway between Philadelphia and Pittsburgh. The southern boundary of the county is also the boundary between Pennsylvania and Maryland, also known as the Mason-Dixon Line. Franklin County encompasses an area of 754 square miles and had an estimated population 140,000 and 500 employees. 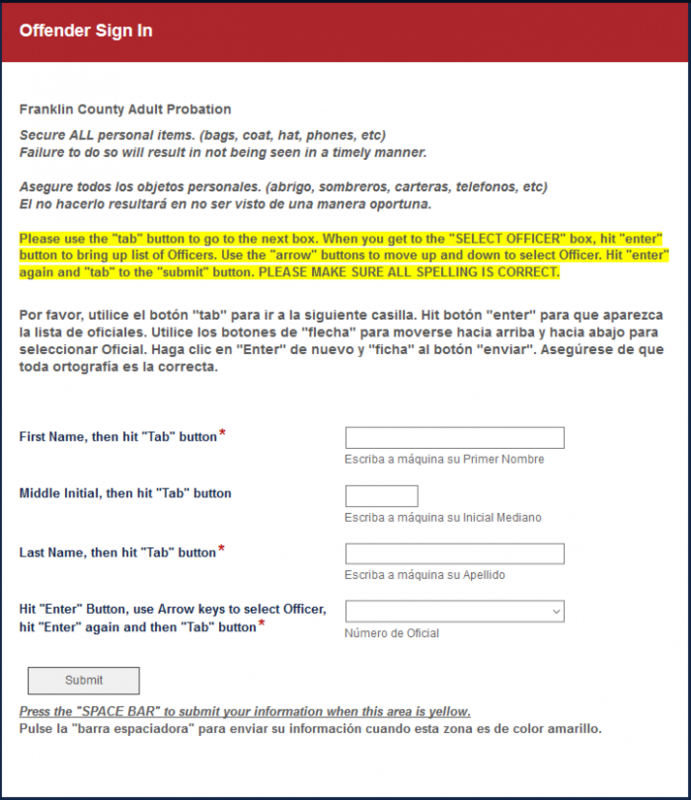 Here is how Franklin County automated the adult probation offender check-in process with Forms. Individuals on probation must check in with their probation officer regularly. A record of the meetings must be kept in order to verify that the offender has not violated the terms of his probation. Before this process was automated with Laserfiche Forms, all offenders signed a paper sign-in sheet. The receptionist had to manually enter this information into a database for tracking and reporting. Laserfiche Forms has completely streamlined and automated this process. Offenders fill out a simple form on a tablet or computer in the lobby of the adult probation office. The form includes a dropdown list of all available probation officers. The offender selects the officer to meet with. Once the form is submitted, the receptionist is instantly notified via email. He verifies that the selected officer is currently on duty. If that officer is not available, the receptionist assigns an alternative officer and a backup officer. Once the officer is assigned, he is notified either by text message or email (depending on personal preferences) with the name of the offender waiting to see him. This whole process is created with Laserfiche Forms and Workflow. 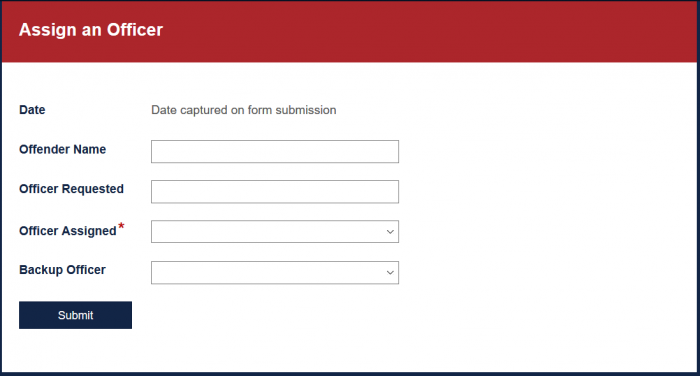 As soon as the initial form is submitted, Laserfiche Workflow sends an email to a receptionist with the name of the offender waiting in the lobby. This email is sent to a group email address which can be accessed by anyone currently working the reception desk. 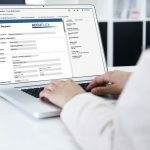 A copy of the form is saved in Laserfiche and another workflow inserts the key information from it into a database for tracking and reporting purposes. The entry is then deleted from the repository. 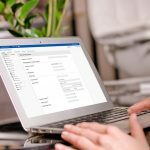 Once the receptionist assigns the appropriate officers to the meet with the offender, another workflow looks up the officer’s email address or phone number in the database, and sends them an email or text, based on their preferred mode of communication. This message lets the officer know that an offender is waiting in the lobby to meet with him. A completely paperless process, from start to finish. 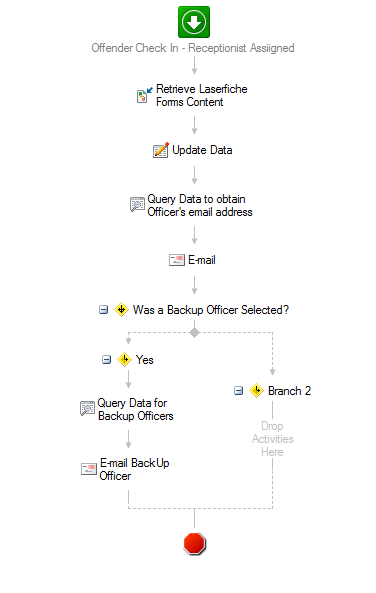 All information is automatically tracked in the database, allowing for easy reporting. An accelerated check-in process as manual tasks have been automated.